Belinda Caldwell currently works as a carer consultant and project manager for the Victorian Centre of Excellence in Eating Disorders, providing advice, support and training for clinicians and carers as well as managing a suite of early intervention eating disorders projects. Belinda is an experienced nurse/health manager. She was the CEO of the Australian Practice Nurses Association (APNA) for six-and-a-half years, until her daughter was diagnosed with anorexia nervosa in February 2011. Belinda and her family have helped her daughter to recover using the Maudsley Method. In the process, F.E.A.S.T. has been her lifeline and a connection to other families in similar situations. Belinda has also helped to establish Eating Disorders Families Australia, an Australian charity for families. 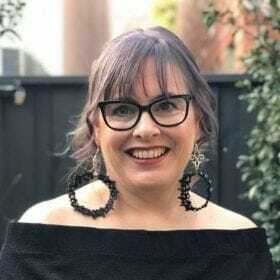 Belinda has participated on the Steering Committee of Australia’s first, second and third eating disorders conferences for families and carers. “At Home with Eating Disorders” was held in May 2013 in Brisbane, May 2015 in Melbourne and May 2017 in Sydney. The conference was a partnership effort between The Butterfly Foundation, ANZAED, and F.E.A.S.T, in collaboration with state-specific organisations. In her current work, Belinda gets to contribute her lived experience and those of families she comes into contact with via F.E.A.S.T. and EDFA. She contributes to the development of training and resources for clinicians, as well as providing single-session family consultations to families through Victorian CAMH services.